Specializing in Big Game and Wilderness Adventures! Robson Outfitters, LLC, would like to invite you to come join us on one of Idaho's finest hunting trips. Our best hunting season is from the months of September through December. We specialize in quality archery, and guided rifle hunts for trophy deer, elk, bear, grouse, duck and geese. For guidelines on all hunting contact Gary Robson. To see more images, take a look at our photo gallery. Deer hunting takes place in the month of October. This is a beautiful time of year in Teton Valley with vivid colors and breathtaking scenery. 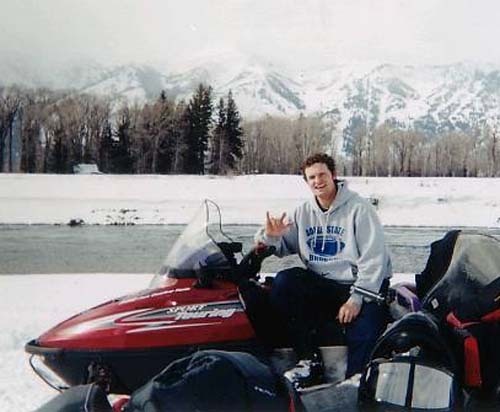 The deer are big and plentiful in The Teton Valley area, you will see an assortment of big mule deer hunting with us. Your comfort is important to us, we stay in warm wall tents, with stoves in the tents. You will have three square meals a day and sleep on good cots. There is no better place on earth to find trophy bull elk than the Rocky Mountains of Idaho. Here in beautiful Teton Valley, ID elk are abundant. During the rut you can experience the thrill of a lifetime by call in world class bull elk. 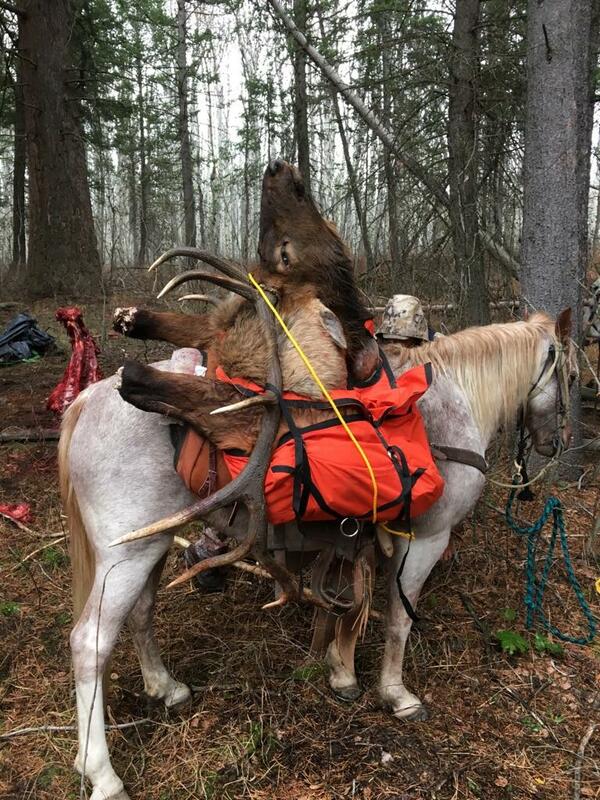 Hunting is hard work and takes a lot of physical effort. Hunting is a great experience. We do the guided archery hunts in September. We stay in wall tents and make it a comfortable camp with good cots. Expect three good meals from our great camp cook. You will have a great bugling experience, getting to hear, see and smell a big bull elk. We aim to get you within 40 yards of the bull elk. For the general and the late hunts, we will put you up in the local motel, so you have a warm, comfortable room for the night. We hunt by horseback during the day. You can track big bull elk in the snow. This is an exhilarating experience in our national forest. 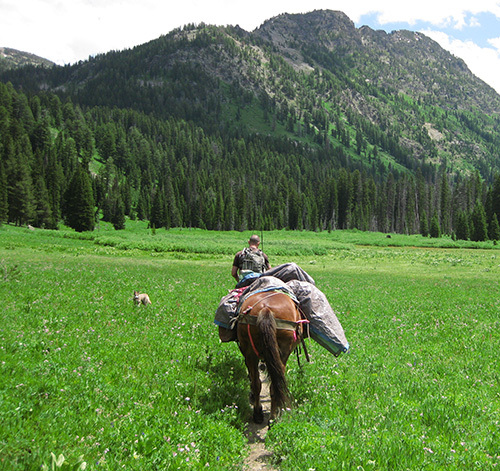 Take a day or half-day and go on a scenic ride on one our gentle horses that know the trails. Bring your camera. Gorgeous mountain views, vibrant wild flowers, fun, watch for coyotes, moose & maybe even a bear. 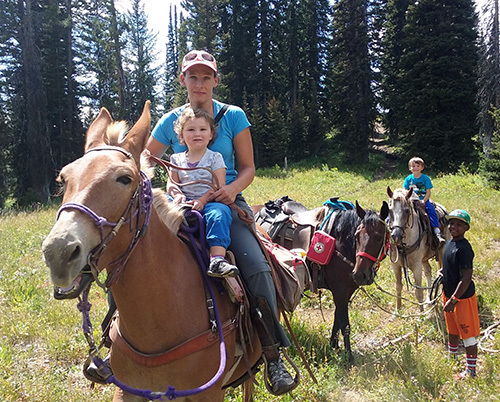 All the greatness of a trail ride and then you get to spend a night under the stars, and if it is rainy we have a comfortable camp with wall tents and comfortable cots. We have great food and a campfire to make it a great night or nights out in the woods. Come join Robson Outfitters from the months of December through March and enjoy freshly groomed trails or the beautiful mountain back country, whichever you choose. There is always abundant wildlife and breathtaking winter scenery that makes it a fun and exhilarating experience. Half and Full Day trips available. Camera recommended, warm clothing provided. All operations performed by Robson Outfitters, LLC, are authorized under special use permit by the Caribou-Targhee National Forest. All operations are operated on a non-discriminatory basis. 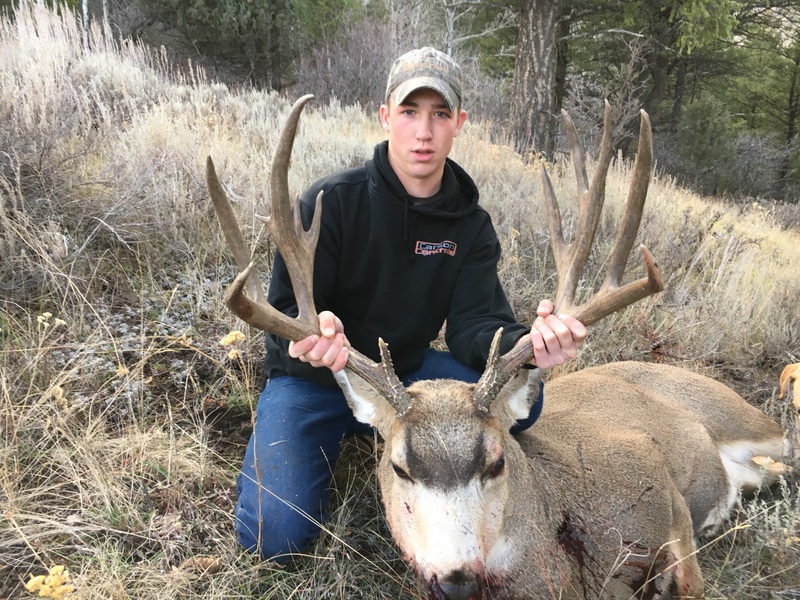 Robson Outfitters specializes in quality archery, and guided rifle hunts for trophy deer, elk, bear, grouse, duck and geese based in Eastern Idaho in the iconic Teton Valley.